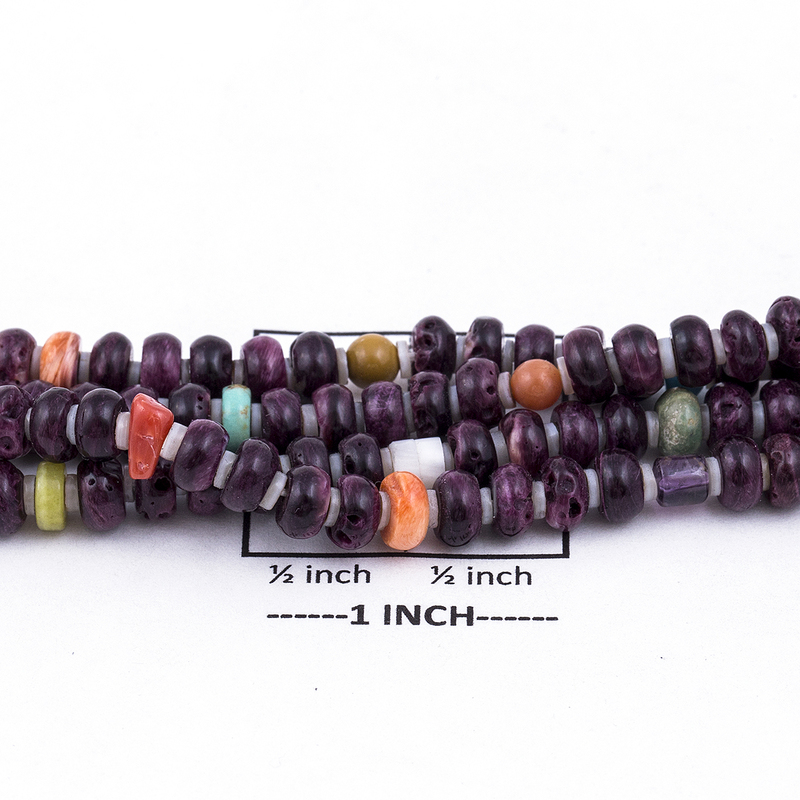 With a royal look of rich purple Spondylus shell, this traditional style four strand multicolored Necklace shows off the intricate beauty of Native American craftsmanship. The look is complimented with turquoise, coral, and a variety of other stones and shells. Handcrafted by a skilled Navajo artist. Measures 19″ in length. Hallmarked “Sterling”. Weighs 60.2 grams. 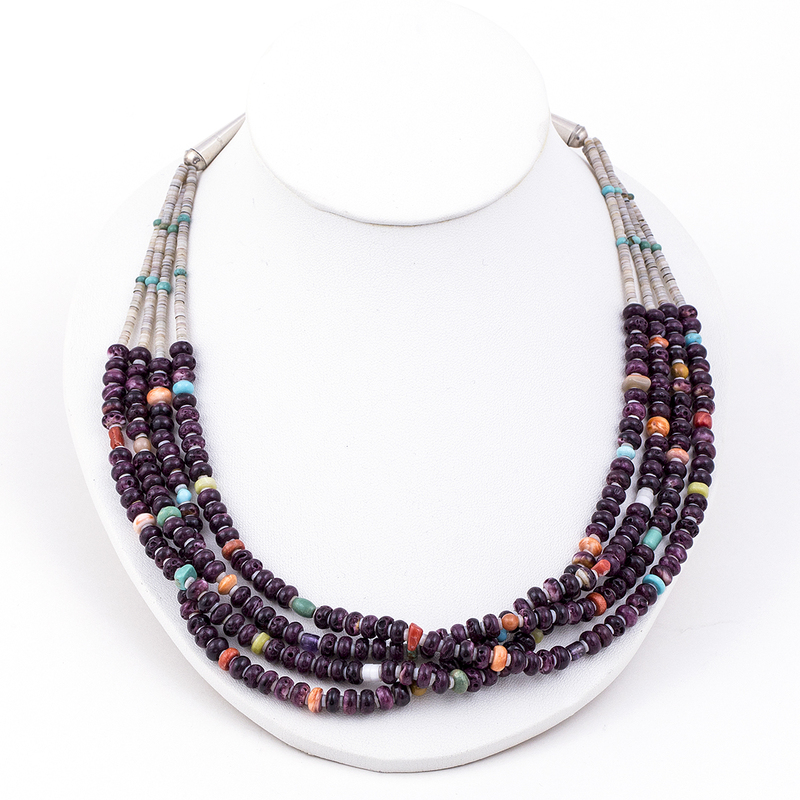 Navajo Multi Stone Bead Necklace displays the use of rich royal colors and Sterling. Handcrafted by a gifted Native American Silversmith.